Excellent location, location, location. 200 feet of highway frontage (Hwy 85N) and 300 feet road frontage (on Texas Parkway). This parcel consists of several parcels. 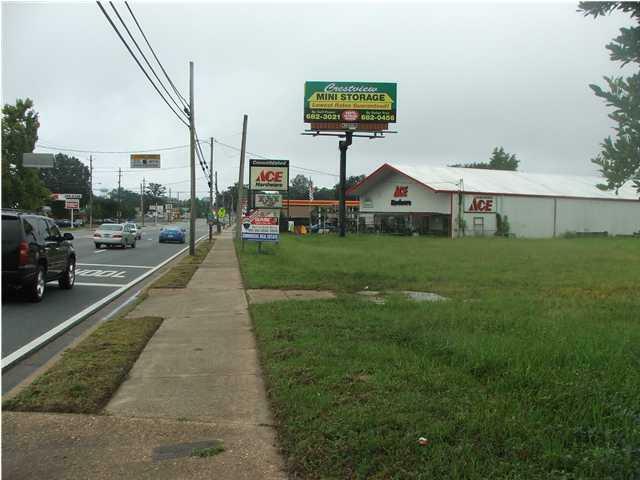 This level building site is in the heart of Crestview Between Ace Hardware and Compass Bank. Sewer, Water, and Power are available (City Works Across the Street). This level site has frontage on HWY 85 and Texas Parkway, this location would be a great place for retail,restaurants,or office space. Seller will consider OWNER FINANCING options. Seller is a licensed commercial contractor and will build to suit.